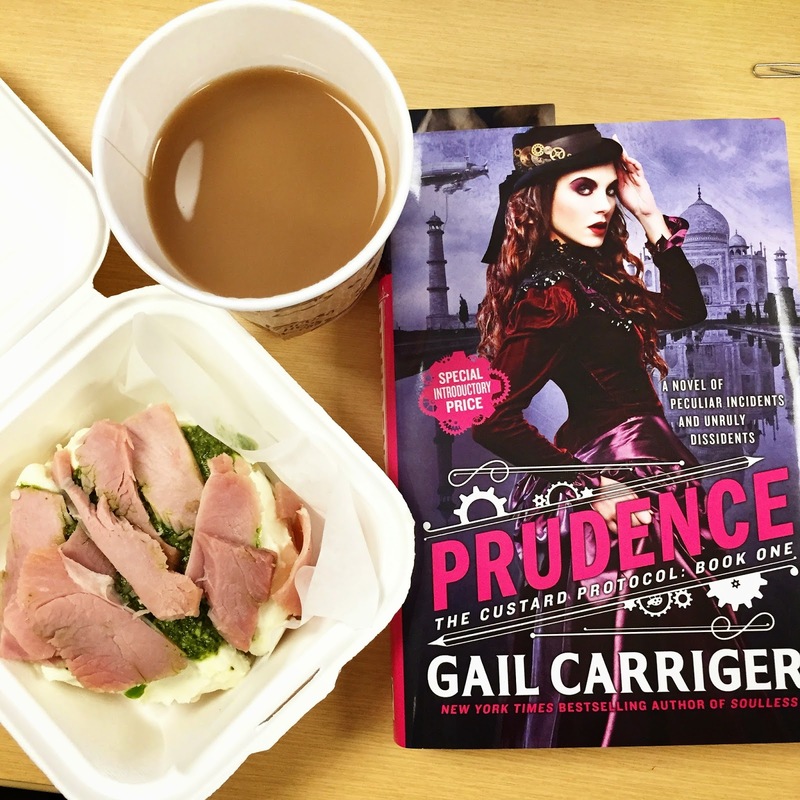 Prudence with a crumpet and tea from the Crumpet Shop. Rue, Prim, Percy, and Quesnel take The Spotted Custard to India! Gail has done it again. I knew I would enjoy the story because I have loved everything she has ever written, but I didn’t expect a story that rivaled so the Parasol Protectorate series. The Parasol Protectorate world, the one in which all of Gail’s series are set, is the most wonderful and complete world I have ever had the pleasure of traveling to. It is somehow simple enough (or explained well enough) to not need a novel of it’s own to be familiar with but still has enough going on to be thoroughly enjoyable. The main players are humans, vampires (dictating fashion), werewolves (all involved in the military), a preternatural, and a metanatural. When touching a supernatural, preternaturals remove the super and leave them in human form. When a metanatural touches a supernatural, said metanatural takes on the qualities that make the supernat super and keep the touched human until sunrise or a certain distance has been met between the two. Prudence (the infant inconvenience of the Parasol Protectorate’s main couple) is sent to India by her father to look into opening a tea-growing business. On the way there they discover the trip has turned into much more than that; they have to solve a kidnapping and a tea napping, stumble their way around Bombay, and figure out how a lioness fits into it all. For those familiar with the preceding series, I have no doubt that this story will enthrall and excite. We see the return of many of our most beloved characters and the way some of them have grown (up) and changed is just really lovely. If you have not read the Parasol Protectorate series, please do. Prudence will mean that much more to you.